At QubComm Publishing, we develop helpful and timely How-To ebooks for all audiences. We enjoy helping Americans solve problems, react to specific situations, learn a trade or new skill, and more. We're just getting started, so stop by often to see what's new in our catalog. Set what's coming soon at the bottom of this page. All eBooks are available for purchase through Amazon/Kindle. Click any title you’re interested in reading to be directed to the Amazon purchase page. 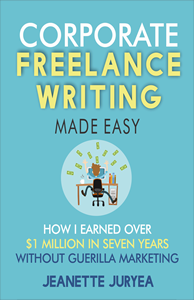 Learn a different type of freelance writing where there's no need to continuously scout for your next gig. This book will teach you how to snag quality clients who have a continuous stream of high-paying work. Cato, Dingus and Nefertiti are accidentally displaced 100 years into the past. They have exactly ten days to travel 4,357 miles and rescue three colonials who are also in the wrong time — without getting caught by Archibald Pheloni, who's after their time travel secret. But at the end of ten days, if they miss their mark or they miss the moment, they’ll be stuck in the past forever. If you purchased a QubComm eBook through Amazon, you can do us a big favor by leaving a review to help our rankings. We appreciate your interest in QubComm Publishing eBooks. 2. Click Write a customer review in the Customer Reviews section. You can also get on our mailing list to receive alerts when new titles are released.